The Governor of the State of Illinois, Patrick Quinn, inaugurated M.A. 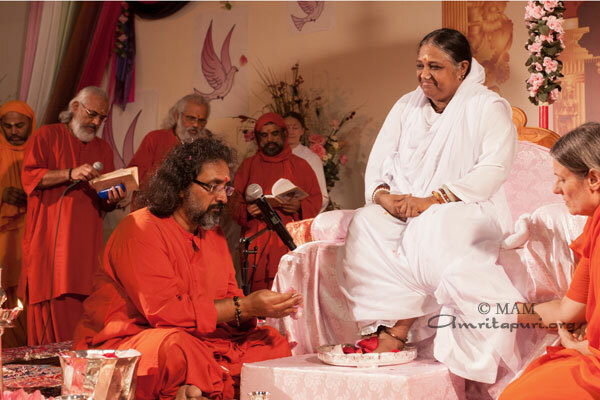 Center Chicago, a new branch of the Mata Amritanandamayi Center today. The center is located on a 141-acre property in Elburn, Illinois, a suburb of Chicago. Governor Quinn concluded his address by presenting Amma with a plaque applauding her works as a spiritual leader and humanitarian. He then extended an open invitation to Amma to stay whenever she wanted in the Governor’s Mansion in Springfield, Illinois, specifically offering Amma rest in an antique bed that belonged to former American president, and Illinois native, Abraham Lincoln. “Amma we love you today. We will love you always. And thank you very much,” Governor Quinn said. 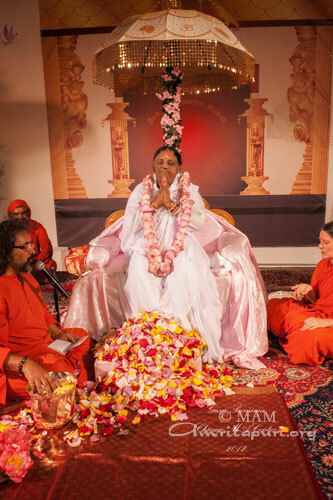 The inauguration took place during the first night of five days of programs conducted by Sri Mata Amritanandamayi Devi (Amma) in Elburn. 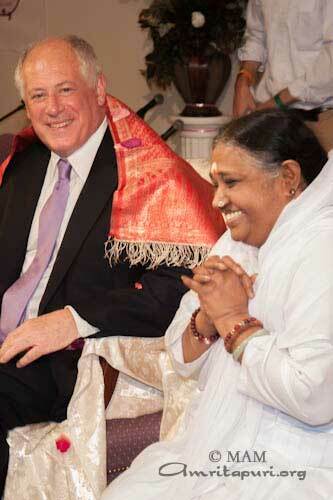 Amma has been coming to the Chicago area every year since 1986.